In Columns, This Lung Life - a Column by Ella Balasa. 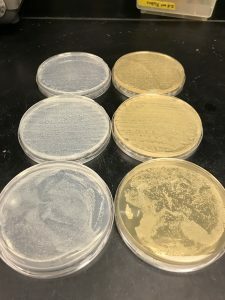 I peered into one of the incubators that stored my petri dishes for 24 hours, anxious to see whether I would discover discoloration and unevenness on the surface, which would have indicated that my experiment produced favorable results. I wanted to see a visual representation of whether manuka honey kills the stubborn Pseudomonas bacterium, which dwells in nearly half of the lungs affected by CF. I’m a microbiology lab scientist, plus an inquisitive writer. I also consider myself an informed, self-advocating realist. Life experiences have taught me that I am solely responsible for my health. I strive to keep my health stable through prescribed medications, healthy diet, and some natural supplements. During my college years, I focused on the environment, especially the living parts that we can’t see but that are essential to the cycle of life — bacteria. It just so happens that certain ones are, understatedly, little pests for people with CF. The lung bacteria of people with CF birth many symptoms and infections. I continually fight Pseudomonas aeruginosa, my nemesis bacterium that spikes fevers within days of overwhelming my immune system and that has caused countless infections, leaving my lungs with pockets of dead tissue. I take antibiotics frequently, but I also believe that naturally derived compounds can have positive effects. So, despite my disdain and nausea, I sometimes supplement garlic, which contains the antibacterial compound ajoene. I’ve also consumed manuka honey; this I’ve done more religiously, as it tastes more like candy than any “medication.” Manuka honey contains the natural antibiotic methylglyoxal, a compound that fights relentless Pseudomonas by causing its cells to burst and die. I took a spoonful a day for a few years until recently. Maybe I stuck to this exorbitantly priced, palatable remedy merely because of its taste and the flawed logic that expensiveness is indicative of effectivity. I had the idea to test the effectiveness of the honey on my sputum. My mucus grows many species of bacteria, but Pseudomonas is a primary component, so it’s easy to propagate in the lab setting. Yes, I took a sputum cup of mucus into work. When inoculating the vials with the bacteria, I was slightly anxious that my lab mates might freak out at the sight of the hazardous and vile-looking green blobs. Then again, they work with wastewater from treatment plants, so it really shouldn’t phase them. After the 24-hour incubation period, I was excited to see the results of science that we as patients typically do not participate in. 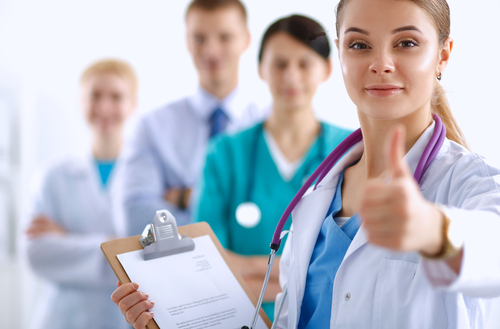 We provide our sputum samples during doctor’s appointments, then labs perform antibiotic resistance tests, and results are returned as values on a piece of paper indicating resistance or susceptibility. We don’t see the process. I was doing this same research on my own, and in a sense, taking the utmost control of my health. Admittedly, I was despondent when I saw a pale yellow film covering the entire surface of every single petri dish when I opened the incubator. There was no distinguishing between mucus bacteria treated with honey or without. Is manuka honey all a gimmick? Had I been shelling out over $40 a bottle just for a tasty treat? I did not perform a perfect experiment — there is no such thing. However, I did perform it to the best of my training and ability. I take the results with a grain of salt, as should you. Although this honey didn’t kill Pseudomonas in my experiment, it has been shown to do so in others. I’ve become more skeptical of alternative remedies in general, but that doesn’t mean I believe they can’t have positive effects. I’ll now stick to regular honey with a reasonable price tag, but that doesn’t mean I won’t ever buy manuka honey again. I realize that no treatment is a miracle medicine against these relentless organisms, but instead, every small thing can add up and contribute to better health. I’ll still take that spoonful of garlic and manuka honey on occasion in hopes that maybe they’re killing just a couple of them suckers. If they don’t, well, they’re still healthy foods to consume. Tagged experiment, garlic, lab, manuka honey, natural supplements, Pseudomonas aeruginosa, scientist. 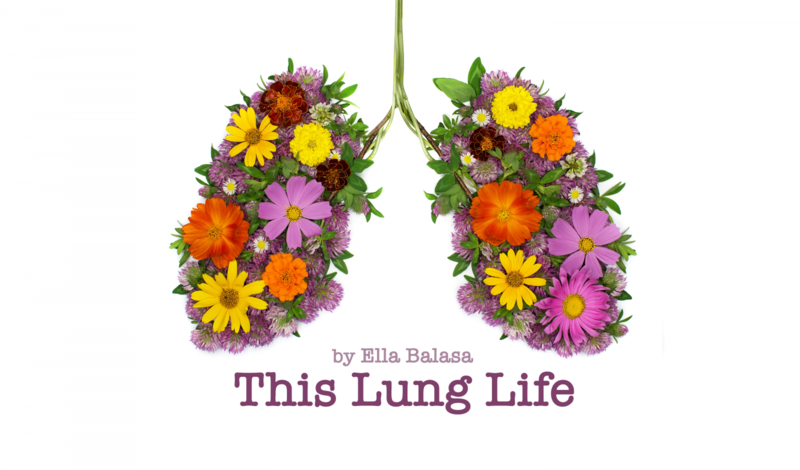 You are inspiring Ella – and as the mother of a CF son I firmly believe the more engaged CF people and their families are in trying to find new solutions, the better their outcomes. Keep up with the thinking and with the research. All the best. Has anyone tried Colloidal Silver or Activated Charcoal to see if that kills any harmful lung infections or P.A. ? I am also scientist and medical doctor, pulmonologist, who also treat patients with CF. I am also often skeptic about “alternative medicine” however a lot of yet unproven alternative methods” might be effective. It is good to do experiments especially if they are not dangerous and all involved in them agreed with participation after full information of possible benefits and harm of experiment. And I am happy that you do an experiment with this honey. However you always have to be cautious with interpretation of the results. You get the result that this honey does not have any direct effect on Pseudomonas. However you still don’t know whether this honey might have indirect effect on improvement of your immune system or other processes in the body which might be involved in better self defense of your lungs again these bacteria. So, whish you good luck in further experiments. Perhaps you should do an experiment of eating honey regularly for a period of time and then see whether you have fewer exacerbations compared to the period when you did not eat it. And in the interpretation you again should take in mind also all other situations in both periods (with / without honey) which can influence on the susceptibility for exacerbations. Whish you all the best. Thanks so much for your feedback! I appreciate that as a CF pulmonologist you are interested and informed about alternative medicines that many of those with CF do take, however most are likely are reluctant to share with thier physicians. I absolutely agree with you that it still may work in beneficial ways in the body just because it didn’t work in the way I was testing it. I may try again using a different method, disk diffusion instead. I had been taking it consistently, and hadn’t noticed a difference, but then again I wasn’t monitoring my symptoms closely. How interesting! I’m in awe of everyone with CF – I’m thrilled that you shared this. Do you have a social media page I might follow – you might have more valuable insight that I may not be aware of. My daughter has CF, she’s 28. Thanks for posting your experiment Elsa. Fortunately for me I don’t have CF but I’ve had lifelong bronchiectasis and now colonised pseudomonas. I’m always looking for alternative/complementary supplements. I believe manuka honey is beneficial in certain circumstances but not sure about the lungs. How would it get there by taking it orally? If I have a sore throat I’ll slowly trickle a spoonful down my throat and find it very soothing. I’ve read it’s also beneficial for healing wounds. Not too sure about the lungs though. Since I am ingesting the honey, it does have to be metabolized before the beenficial compounds get into the blood stream and get to the lungs that way. I’m sure that placing it directly on a wound could be more effective and I am not sure how the honey going through the digestive track changes it’s effectiveness. Thanks for reading and commenting! Hello friend! 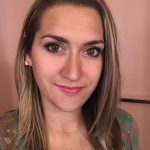 I am a clinical herbalist with CF who also has done an extensive amount of research and self-experimentation. I specialize in using herbs and natural remedies to help CFers and other people with severe respiratory disease improve their health and tackle infections. I am really excited to hear that you have access to a lab to get some hard data on topics that wouldn’t otherwise get funding for research. I have a very long list of experiments that I would do if I had the equipment (or funding) to do them. I would like to discuss collaboration with you, or at least get your advice on how to go about doing lab research that circumvents the cost barriers put up by pharmaceutical trails. Please email me if you’d like to collaborate! I would love the CF community to do more scientific research on herbs and Chinese medicine. It seems research is lacking in this area. The real test here would be finding a way to aerolize the ajoene compound to the proper particle size, or finding some way to use the entire honey in some inhaled form (though I’m sure the sugar content would harm the bronchial tubes and feed the bugs faster). But trying some of these alternatives in the ROA that gets direct contact with PA and other bug is a good place to start. Even in lab created “lung environments”. Manuka honey is super potent, esp the high grade stuff. There are many studies on it’s modulating impact to immune system and even cellular repair. Keep asking questions and trying. As a Dad with two children with CF i just wanted to say ty for your efforts toward your research on this debilitating disease. If ever your research happens across ANY positive results that may give a better life for our children, please mail me so as i may pass this info on to not only my children, but to other families that face the same challenges. Hi Sharon! Thanks for the feedback. The heat from contact with the agar could have been an issue, but I filter sterilized the honey separate and didn’t autoclave it with the agar. Maybe using a disk diffusion method might work better as well. I thought about that afterward.